Not the most affordable of hoverboards for kids, but one that certainly is long-lasting and perfect for older children. 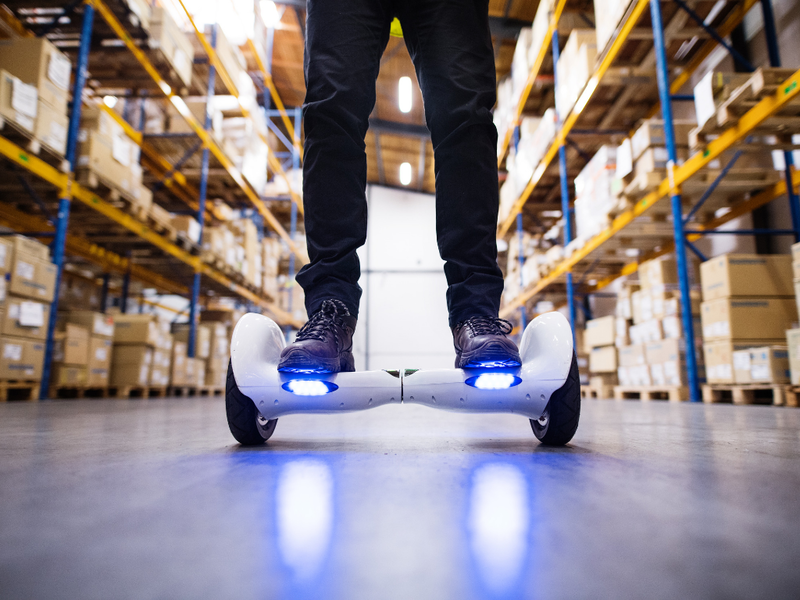 It doesn’t look like a traditional hoverboard but is still considered a device in the genre. Designers included a removal kneebar that can help keep control at higher speeds. We do not recommend removing it as it does add extra security. You can also connect your Bluetooth to the mobile app to access extra controls that can control the speed, arm the anti-theft alarm, or use remote control. The Segway Mini Pro tops out as the fastest on the market with an impressive maximum of 14mph. The Swagtron T580 is one of our very favorite hoverboards, and we think you will like it too. This device is perfect for beginners to experienced riders. Weighing in at 20 lbs, it features a durable casing and splash proof design means it is lightweight and very durable for every urban adventure your child can come up with. Speed maxes out at eight miles per hour that gives the thrill of speed but not so fast to create a speed safety issue. This is another hoverboard that features Bluetooth accessibility so that a child can use maps and play music through the speakers on the board. Veeko is a fantastic hoverboard that is perfect for the child that grows up fast. The board takes a maximum weight of 265 lbs and can support your child for many years to come. Another fabulous feature is the auto shutoff feature. Most kids have the habit of not turning on the electronics and this one will after 10 minutes of no use. Saving that battery will keep the battery running at its best and preserve what has been charged. This is truly the best hoverboard for beginners and long-lasting to be passed on to younger children. The SKQUE hoverboard is a perfect match for the kid using a hoverboard on flat sizes. This company set high standards for safety by improving the motherboard, strengthening the shell, and enhancing the chassis to give a smooth and safe ride. This device has a maximum speed of 7.5 miles per hour, and you can choose the size of tires your child needs. You can also start with small wheels and go up in size as your child grows and becomes a more experienced rider.